It happens every year: over the holidays we put on a few extra pounds. Come January we vow to drop the weight. This year, many are turning to intermittent fasting. Fueled by the bestselling book “The Fast Diet: Lose Weight, Stay Healthy, and Live Longer with the Simple Secret of Intermittent Fasting,” intermittent fasting is the weight loss trend of the moment. The idea is simple. On some days you eat as you normally would. On other days you cut your calories to a quarter of your normal intake. Advocates say this feast and famine approach mimics how humans ate for thousands of years. They argue that the benefits may extend beyond weight loss to staving off Alzheimer’s disease and even preventing some types of cancer. Dr. Michael Mosley Physician, science journalist and author. Dr. Mark Mattson Researcher, National Institute on Aging. Dr. Valter Longo Director, University of Southern California Longevity Institute. MS. DIANE REHMThanks for joining us. I'm Diane Rehm. Eating right has long been linked to disease prevention and longevity. But perhaps the key to health is not what we eat, but when and how much. Joining me are some of the leading researchers in the field of intermittent fasting. Here with me: Dr. Mark Mattson of the National Institute on Aging, joining from a studio at the University of Southern California in Los Angeles, Dr. Valter Longo, director of the USC Longevity Institute, and from a BBC studio in London, physician Dr. Michael Mosley. MS. DIANE REHMHe's also a journalist and author of the book, "The Fast Diet." I welcome your comments, questions, 800-433-8850. Send us your email to drshow@wamu.org. Follow us on Facebook or Twitter. Welcome to all of you. Thank you for being with us. DR. MARK MATTSONNice to be here, Diane. REHMAnd it's good to have you all with us. Dr. Mattson, let me start with you. For those who are not familiar with intermittent fasting, describe the approach. MATTSONThe approach is to each week, a few days a week, go for an extended time period without eating or eating very little. And by extended time period, I mean from 16 to 24 hours or so. And this is based a lot initially on animal studies where -- I'm at the National Institute on Aging where, of course, we're interested in promoting trying to optimize health throughout the lifespan. And it's been known for quite a while that if you reduce the calorie intake of rats or mice, they live much longer. MATTSONAnd one way you can do that is by intermittent fasting. And we use the diet where, on alternate days, the animals have no food for 24 hours. When that's done, they live about 30 percent longer. And so that's now leading to human studies, some of which we've been involved in, trying to understand exactly what's going on in the body and brain that seems to decide -- promotes health. REHMAnd, Dr. Longo, turning to you, what have you discovered regarding intermittent fasting? DR. VALTER LONGOYes. We actually are more interested in what we call periodic fasting, which is longer but less frequent fasting periods. So in that case, the fasting periods last three days or more, and they're not supposed to be done more than once a month. REHMOnce a month for three days. REHMAnd what kinds of results are you seeing? Because you're actually involved with human beings, I gather. LONGORight. Right. Both in mice and human beings, and so we are -- first off, we use this for cancer, and so we're now running, I think, about six clinical trials looking at the effects of these extended fasting periods for about four days of fasting and the both the efficacy of chemotherapy and also the protection of our patients from chemotherapy. And so preliminary results are very good. And we hope to have one of the large trials completed in the next year or so. REHMAnd now, turning to you, Dr. Michael Mosley, you really brought this to the fore with your book "The Fast Diet." What kinds of positive results have you seen in both weight loss and cholesterol levels? DR. MICHAEL MOSLEYWell, good morning to you. Lovely to be back on the show. REHMIndeed. Good to have you. MOSLEYGood to have you. And greetings, Valter. MOSLEYRight. So what we found is that there's been an amazingly positive response to both the idea of intermittent fasting and to the book. One of my colleagues has been running a experiment on a website where they've had 5,000 people, registered users, and they've been tracking them now for several months. And between them, these 5,000 people have lost 40,000 pounds of fat, which works out to around 10 pounds each. And that is a weight, I calculate, of four large African elephants. REHMAnd tell me what other results you've had besides simply the weight loss. MOSLEYNo. Absolutely. I had an email the other day from somebody who said, I heard the author on "The Diane Rehm Show," and he made so much sense, I tried the diet. I've never stayed on a diet before. And he said that his cholesterol was way too high and his blood pressure was way too high. And when he started on it, he was skeptical. But they both went down dramatically. And he said, when I went to see my doctor the other day, I nearly passed out -- my results were so good. MOSLEYI've cut my insulin by half, which he's also a diabetic. And my doctor now wants to go on the diet as well because he's so impressed. REHMWell, I want you to know -- and this is a confession I am about to make -- since you were last on the program, I went on your diet. Fasting on Mondays and Thursdays, I've lost 20 pounds. I feel great. MOSLEYFantastic. Really, really pleased. Fantastic. REHMYes. And, Dr. Mattson, when you have looked at these mice whom you've had on intermittent fasting, what kinds of differences do you see in brain activity? MATTSONYeah. So what the take-home message from our animal studies is that the intermittent fasting is a challenge to the brains of the animals, which you can imagine, if you look at this from an evolutionary perspective, that if an animal in the wild hasn't gotten food for a while, its brain better be active, or it's not going to be able to find food. REHMIt's got to find food. MATTSONAnd so what we find, when we look at the neurochemistry of the brain, is that levels of proteins called neurotrophic factors are increased. These proteins are well known to promote the growth of neurons and also to play an important role in learning and memory. So we think that -- in the animal studies, we know that the intermittent fasting can improve their learning and memory. Also, the neurons become more resistant to stress. MATTSONAnd we think then that the bottom line is that having to go without food for extended time periods is a mild stress, mild challenge, to the animals, including the nerve cells in their brain. And those cells respond adaptively by enhancing their ability to cope with more severe stress, and, we think possibly, resist disease, at least in our animal models of Alzheimer's and Parkinson's. REHMAnd that's very interesting. But, Dr. Longo, going without food for three days would seem, to me, a huge challenge for individuals and, indeed, animals. LONGORight. And we expected a 50 percent dropout rate, but we got zero percent dropout rates. LONGOYeah. And the -- of course it is a diet. They get to eat, but it's a very low-calorie diet. That's what we call fasting mimicking diet. So, yeah, if you do a water only fast for five days, it's very difficult. Most people won't be able to do it. But a very low-calorie diet that is specifically designed for people to be able to cope with it, it's actually quite doable. REHMWell, I looked at that diet, Dr. Longo. You might describe it because it doesn't sound particularly appetizing to me. LONGOActually, I think that that was a BBC report. And I think they interviewed some of the people that might have been used to maybe a hamburger diet, and the switch wasn't so pleasant to them. But this is actually not so bad. This is a vegetable -- nuts are in the diet and chips, and so it's OK. It's not what people will want to normally eat every day. But I would say about 80 percent of the people felt it was not a problem at all. And they actually liked it. I think about 20 percent didn't like it so much, and 10 percent hated it. REHMI think I might be among that 10 percent, whereas, Dr. Mosley, you're talking about eating normally. And by normally, you mean not the hamburgers and French fries on the days you're not fasting, but you're talking about a 500-calorie-a-day fasting diet separated by at least two days, correct? MOSLEYYes. That's correct. I actually did the five-day diet with Valter, and it was great fun. But I did find it challenging. And am I right in thinking that's Mark Mattson there as well? Because I'm afraid I missed the beginning because of technical problems. MATTSONYes, Michael, it's me. How do you do? MOSLEYHello, Mark. Greetings. Because the guy who really inspired me into doing the 5:2 diet was Mark. MOSLEYIt was when I went off to see his mice. I looked at the effect that had on dementia, and I wanted to do a diet which was doable. I had previously visited Dr. Krista Varady at the University of Illinois in Chicago. And she had been looking at research on cutting calories to a quarter, which I believe Mark has also been involved with. And it's at a 500 calories for a woman and 600 for a man, and she was looking at alternate day fasting, which I also tried and I found quite challenging. MOSLEYAnd that's why I really got enthusiastic about the idea of doing 5:2, where you only do it for two days a week. And I did that for several months. I lost 20 pounds of fat, pretty much exactly the same as you, and I mainly did it because of my diabetes risk. REHMAnd now how is your diabetes now? MOSLEYIt was on -- I'm not sure of the American scale, but on the British scale, it was 7.6 fasting glucose. That is way into diabetes. REHMAll right. Michael Mosley, British medical doctor, journalist, television producer, and author of "The Fast Diet." 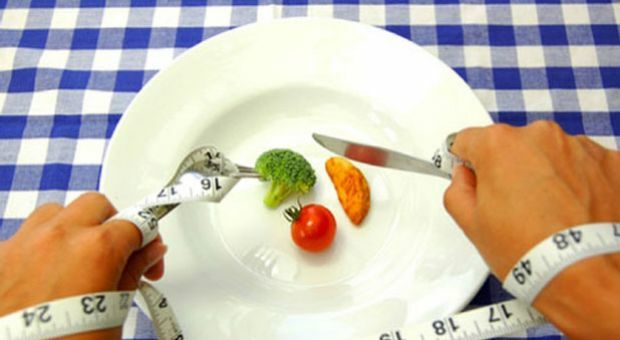 REHMAnd we're talking in this hour about fasting, not only as a way to lose weight, but to gain health. And there have been studies showing a drop in cholesterol and improvement in diabetes. But I am particularly interested in what you mentioned before the break, Dr. Mattson. The whole issue of dementia and how that could be related to a fasting diet. REHMBy what? A certain number of days, months, years, what? REHMDr. Mosley, do you believe that sort of measurement can somehow be applied to human beings? MOSLEYI very much hope so. I mean, certainly I found Dr. Mattson's work incredibly convincing. And I know he's begun human trials, which is really the only way of being able to assess these. The mechanism makes complete sense, the idea that you have the increase in BDNF. And we also know there is a strong link between dementia and diabetes. So if you can kind of knock the diabetes on the head, hopefully that will reduce your risk of dementia. MOSLEYAnd I absolutely share with Dr. Mattson the concern that this is a sort of time bomb coming down the line. And I do find his research really invigorating and also utterly convincing. REHMNow, here's an email from Mary who says, I tried fasting two days for week for several months and lost weight without feeling deprived. Then one night I awoke to an irregular heartbeat that lasted for about an hour. I went to the doctor the next day, everything was normal. But she suggested I should not do the intermittent fasting because it could mess up my hormones, blood sugar, et cetera and cause the irregular heartbeat. So I stopped fasting. What do you think, Dr. Mattson? MATTSONIn the animal studies and the few human studies we've done, the intermittent fasting has beneficial effects on the cardiovascular system, including reduction in resting heart rate, reduction in blood pressure. So it's really hard to say whether this is just an incidental coincidence that she was on the diet and had that short experience of irregular heartbeat. REHMAnd the only way she's going to find out if the two are related is to try it again. Dr. Volvo (sic) have you seen any situations that sound that way? LONGOWell, I have to say one thing that Michael and Mark and I have been discussing, which is the regularity of meals. Right? So the body has a circadian, a series of circadian clocks. So clocks that tell you when it's time to eat and not. And so, one of the issue with the 5:2 diet is that you're now alternating the regular days, the regular meals with days where you don't have that. And your brain and actually many different organs tell you what's going on. LONGOWhy is the meal not there? Or why is it there at the wrong time? So that's one of the concerns. And I always prefer the skipping one meal every day over the 5:2 just because that creates regularity. That's actually my diet, for example. So we haven't seen necessarily progress with our diet but we haven't done the 5:2 diet, so I couldn't speak to that. REHMAnd what about you, Dr. Mosley? Do you see any connection here between irregular heartbeat and the 5:2 diet? MOSLEYWell, I have been in contact with probably about 10,000 people who have been doing this diet, maybe more. And they send me regular updates on their health and what they're up to. And I have to say, nobody has reported that yet. Now, they do report, occasionally, things like difficulty sleeping. Some people just get hungry and they don't like doing it and they give up. And that's fair enough. MOSLEYBut I haven't seen any convincing reason why the diet should have that effect. I mean, I'm interested in Valter has to say. In my version of it, effectively I skip lunch, you know, two days a week. And I have breakfast and I have dinner. I just eat smaller amounts of food for breakfast and dinner. So haven't noticed any effect on my circadian rhythms. REHMAll right. And let me tell you what I do on the fasting days. I have two ounces of cheese and coffee for breakfast. I have a nonfat, plain yogurt for lunch and I have, say, a small serving of chicken or fish and vegetable for dinner. Now, Dr. Mosley, I have to tell you I cheat because I have two glasses of champagne with that. So I am cheating with that two glasses of champagne. I know that. REHMBut I think my body has simply adapted to that and I have lost 20 pounds nevertheless. MOSLEYI'm a huge fan of basically trying what works for you. That's why when I read "The Fast Diet," I looked and talked about all sorts of different fasting regimes. I talked about Valter's regime and meet with Mark Mattson, alternate day fasting. I think essentially people should find something that works for them. These are kind of guidelines. And I'm delighted you have found something that worked for you. REHMDo you, Dr. Mattson, you skip lunch, too? Okay, all right. MOSLEYAnd in the evening, like you, I have a bit of salmon like last night. I had a nice bit of salmon and a great big pile of vegetables and I felt absolutely fantastic on it. That's my regime. But you kind of vary it. REHMAll right. Let's go to Bob in Dallas, TX. He's got a question. Hi there, you're on the air. BOBHi, Diane. Love the show. BOBI just had a comment to make, not downplay the importance of the research that's being done. This seems almost academic from the perspective that our -- a lot of the ancestors did not eat every day until agriculture and then even then it was mostly seasonal. And we're talking about an organism that dies with too much water. So the amount of food going into the body of a human, seems almost academic, but I think this is really important subject to cover. REHMAll right. Thanks for your call. Of course, Dr. Mosley, you talk about the importance of drinking water during those fasting days. MOSLEYAbsolutely, because you take in quite a lot of water in your food. And so also when your glycogen stores and your muscle break down, then that also takes more throughout with it. And the commonest complaint is headaches and feelings of dehydration to which the obvious answer is just drink more water. REHMAll right, to Heidi in Indianapolis. You're on the air. HEIDIMy -- good morning or good afternoon. HEIDII'm curious if this is -- this diet is a lifestyle change that you're suggesting this become the practice every day from now on. And if you do it as diets are often said, short term, do you still get the benefits? Does the weight stay off? REHMDr. Mattson, do you want to comment? MATTSONWell, I can answer that very clearly from animal studies where we can -- the animals have no choice. So, for example, I mentioned that alternate day fasting can reduce heart rate and blood pressure. And what we find is that occurs over a period of a few weeks after initiation of the diet and will continue as long as the animals are on the intermittent fasting diet. MATTSONAs soon as we put them back on their normal diet, which is they can eat whenever they want, within a week or two, the blood pressure goes back up. MATTSONYou know, so it's not -- you know, you can go on this for a short time period and then, at least if you're a mouse, and maintain the health benefit. REHMBut, Dr. Mosley, what about you? You're sort of on a standard diet now. Are you not? MOSLEYI am. What I do is I do what I call 1:6 because one of Dr. Mattson's colleagues, Dr. Michelle Harvie in Manchester who did a significant human trial, looking at people restricting their calories two days a week. She found that they lost weight, they lost twice as much fat as people on a conventional Mediterranean diet. And one year on, they were able to maintain the benefits in terms of the blood pressure, in terms of the improved insulin sensitivity by doing what she calls 1:6. So one day a week you just cut your calories down to a quarter. REHMDr. Longo, what about you? LONGOYeah. But I think that it should be a lifestyle change, right? This is not something that you should do just to lose weight temporarily. It should really be the type of diets now whether, as Michael pointed out, with the use of the 5:2 or you skip lunch every day, most people in the United States need to make their change. Actually most people in Europe and the United States need to make the change. LONGOAnd that should be to have less meal, not to have these four, five meals, bad idea, four, five meals a day which got the country to be in a 70 percent obesity and overweight state. REHMExactly. And something really our entire health system is based on. You want to continue, Dr. Longo? LONGOYeah, I just have one comment. We're doing a (word?) studies now on human beings. And one big point is the elderly. It seems to turn around completely for old people. And this is not just our study. Meaning that weight loss for people over the age of 65 may be actually dangerous. And there is many studies now showing that. And people that have a little bit of extra weight past the age of 65 usually do better or much better. LONGOSo something for you listeners to keep in mind, this is not straightforward and we should -- the doctor should be involved and we should keep that in mind. REHMAnd you're listening to "The Diane Rehm Show." Dr. Mosley, do you want to comment on that? MOSLEYI absolutely agree with Valter and I'm sure Dr. Mattson would agree as well that you should be aiming at a lifestyle thing. Well, everybody who writes to me says the same thing. I feel terrific on it, I feel good on it, I am going to keep this going for the rest of my life. That is my ambition. And certainly I have found whether it is skipping lunch or it is just cutting your calories on day a week, that is very manageable. MOSLEYAnd I am kind of, you know, I'm regarded as a lifelong experiment. I measure my blood glucose at least once a week. I measure my cholesterol about once a week. And I stand on the scales pretty well two or three times a week. And I sort of titrate to my diet along with that. REHMGood. All right to Shell (sp?) in Detroit, MI. You are on the air. SHELLThank you. Good morning. My question is on those intermittent fasting days, is all liquid excluded in those fasting days and if not, besides water, what other liquids is recommended or allowed? MATTSONWell, we mentioned a few minutes ago, it's important to stay hydrated on the days that you're not eating much food. And so it can be water, tea, coffee, not any non-caloric beverage. REHMBut what about diet drinks? MATTSONWell, from the standpoint of energy and metabolism, diet drinks are fine. But one thing I want to -- that we haven't talked about is exercise. And in the animals and in humans, many of the changes we see in their physiology whether it's improving glucose regulation, cardiovascular changes or effects on the brain are very similar with exercise and intermittent fasting. And some people have asked the question to me a lot, well, you know, can I exercise on the days that I'm not eating much? MATTSONAnd, you know, we -- there's no reason you can't. If you go back to the evolutionary situation, if an animal was hungry, couldn't find food and wasn't able to exercise to run, you know, the track down the animal, they're not going to survive. So our species wouldn't be here today if we were not geared for going extended time periods without food and being able to exercise during that time. REHMDr. Mosley, I want to ask you about diet drinks and your thoughts. MOSLEYI'm also not very keen on diet drinks. I absolutely endorse the idea you can drink whatever amounts of water you want, whatever amount of tea, I mean, coffee probably not more than four or five cups a day because it will make you twitch. Diet drinks is a tricky one. I am not a fan of them. I'm not a fan of diet products, full stop. Because I think they're a bit of a con. If you love your zero-calorie, you know, drink, then fine. MOSLEYI'm not going to preach to you. But on the whole, I think it's better if you can train your taste buds not to like really sweet things. REHMDr. Longo, where do you come in on diet drinks? REHMWhy would that be? Why would people gain weight using diet drinks? LONGOWell, we've done so many dull work and -- but we don't really have an answer. So people that are fasting for long periods ask us all the time, can I have Diet Coke. And so far, we just tell them, probably not. REHMDr. Valter Longo is professor of gerontology and biological science at the University of Southern California. He's also director of the USC Longevity Institute. Short break. More of your calls when we come back. REHMAll right. And as we talk about intermittent fasting, which really is a rage right now in part because of the work of Dr. Mark Mattson at Johns Hopkins University and the book written by Dr. Michael Mosley, titled "The Fast Diet," and the research done by Dr. Valter Longo at the University of Southern California, they're all with me today. REHMAnd here is a question from Janet in Annandale, Va. who says, "I've always been led to believe if you drastically reduce the amount of calories, this will have a negative impact and slow your metabolism and cause your body to take whatever food you take and store it as fat. Is this not correct?" Please talk about the impact of fasting on metabolism, Dr. Mosley. MOSLEYHi there. Well, this is one of the great myths, the idea that if you cut your calories dramatically, then your metabolism will immediately shut down. As far as I know, it was based on a study done in the U.S. where they took some volunteers in the '50s, and the asked them to cut their calories by up to a half for six months. And when their body fat went down to about 8 percent, then their metabolic rate slowed right down. MOSLEYBut that was 8 percent. Normally, what happens when people cut their calories for a day, their metabolic rate actually goes up. And from an evolutionary perspective, that makes a lot of sense because if you're a sort of caveman or a woman and you haven't got food -- and that's a normal state -- it makes no sense that your metabolism would slow down, and you would sort of lie on the floor and be unable to move because no one is going to be bringing you pizza. MOSLEYYou have to be up and raring to go. You have to be sharp. You have to smart. You have to be active. And that is indeed what most people report about intermittent fasting. It makes them brighter, faster, sharper, more alert. REHMHave you seen that brighter element, Dr. Mattson? MATTSONWell, in animal studies, yes, where we can test their learning and memory, particularly in older animals when they're on energy-restriction diets, including intermittent fasting. They perform better in learning and memory tests. But in humans, we don't know. We have a study planned that we hope will start in the next few months where we're going to take individuals at risk for cognitive impairment because of their age and metabolic status, so we're going to have women between the ages of 55 and 70 who are obese and have insulin resistance but are not yet diabetic. MATTSON...and after two months, do this battery of cognitive tests, look at neural network activity, which we have some reason to believe from our animal studies we're going to see effects on activity in neuronal circuits involved in cognitive function. REHMDr. Mosley, do the people who have been on your diet, who have been in contact with you, report a sharper mental approach? MOSLEYThey do, almost universally. Some of them say, I get really hungry-grumpy. I couldn't stick it. But generally -- and this is the advice I got from Dr. Mattson -- it tends to pass after about two weeks as your brain starts to produce, we hope, neurotrophic factor, which actually makes you more cheerful. And certainly they do report being sharper. MOSLEYI've had quite a few of them do cognitive tests before and afterwards. And they do report improvements in the memory test, doing a sort of standardized online memory test. So I like to think so. I'd be curious what the other two think about the effect of intermittent fasting or longer-term fasting on your metabolic rate. LONGO...the metabolism is actually faster for quite a while, enough to make him lose weight, even at equal calorie intake. LONGOYeah. In the human trial right now we're doing, at least the preliminary data suggests the same. MATTSONWell, if we go back to the analogy between exercise and intermittent fasting, exercise, you're expending a lot of energy rapidly. So it's a -- that's an energetic challenge. Intermittent fasting, you're reducing the energy intake over some extended time period. And that's also an energetic challenge. And so it looks like, from what Dr. Longo said and that emerging data coming out, that both exercise and fasting will increase energy and metabolism. REHMBut, Dr. Mosley, how many of the people who are doing the 5:2 diet are also exercising? MOSLEYInteresting question. It wasn't one of the things -- the questions we put up. I have recently put it up 'cause I'm very interested in that. I thoroughly recommend you do because, without a doubt, it is the combination of doing intermittent fasting plus exercise which will produce the best results. I thoroughly recommend it. Also, then if you are, you know, feeling a bit challenged on a low-calorie day, you go out for a stroll or possibly for a run 'cause I find that actually suppresses appetite. REHMAll right. To Laura who's in Silver Spring, Md. Thanks for waiting. LAURAThank you. I was wondering if your guests have heard of Fast-5. It's been around for quite a few years. It's where you eat in only a five-hour window, preferably after 2 p.m. And you do this pretty much on a daily basis. So it's intermittent fasting, but it's every day. MATTSON...some -- mediate some of the health effects of intermittent fasting. REHMDid you ever try that, Dr. Mosley? MOSLEYI did. I found it very difficult. It didn't agree with me at all. And I'm aware that people in the bodybuilding community have been doing this sort of thing for decades now. And it'll suit some people. It will not suit other people. I love breakfast, and I get very grumpy if I don't have breakfast. So that would be a challenge. REHMAll right. To Priscilla who's in Carnegie, Penn. Hello. PRISCILLAVery nice to talk with you, Diane. PRISCILLAI listen to you every morning. REHMI'm so glad. Thank you. PRISCILLAI called because, oh, my gosh, over 25 years ago, I went on two 20-day fasts. PRISCILLAI was not up, and I was kept very, very quiet. And I did the fast in my own home with my beloved husband nearby, waiting on me hand and foot. I didn't need to be waited on, but he was just concerned and wanted everything to go well. I had nodules on my thyroid, which became a problem, and the surgery was discussed. We went for it. They took out half the thyroid, and I am now on something called Armour Thyroid, which is an old diagnosis for thyroid problems. REHMAnd how are you now? That's the point. PRISCILLAI am in wonderful health. I do not have -- I got rid of those nodules that were cancerous. PRISCILLAAnd so I think it's also good to talk about a particular problem, an issue of medical urgency. REHMAll right. Let's see what Dr. Longo has to say. LONGOSure. So there are clinics, for example, the Buchinger Clinic in Germany and the True North Clinic up in Northern California that do this in-patient. They do the 13- to 21-day fasting periods. Now, it's not usually used for cancer, those long fasts. And we are trying to get there. The problem is the safety concerns of most of the panels that review clinical trials. So they -- so far, they allowed us to go to five days, up to five days, but we do have some patients -- some of them are doctors that have cancer. LONGOAnd they've tried on their own to go 13 days or up to 17 days regularly, and it's working very well for them. So I think that, hopefully, carefully, we'll move forward and see what this long fasting periods can do, particularly for cancer, but I think for a variety of problems. LONGOThese are periodic or only to treat or prevent a specific disease. MATTSONLet me -- Diane, I'd like to make a comment. MATTSONLittle over 100 years ago, Upton Sinclair, who many of you listeners may know wrote the book "The Jungle," he wrote a book called "The Fasting Cure." And it's not really science, but he interviewed several hundred people who had gone on long-term fasts. And all these people had some ailment. And the readers can find the full text of this book, "The Fasting Cure," on the Internet. And it's kind of a fascinating -- they're all anecdotes. You know, it's not really critically designed science. REHMAll right. To Clay in Fayetteville, N.C. Go right ahead. CLAYThank you for taking my question. CLAYMy question is actually in two parts. One is you've talked quite a bit so far about calorie intake, and I was wondering if you would comment on, let's say, complex carbs versus refined sugars and that type of thing with raising the insulin levels in the bloodstream. And, second, have you all found any evidence that a lifetime lifestyle of sugar intake might contribute to dementia or alter cognitive senses? MOSLEYI think it's a really interesting question. I think, without a doubt, what they call the Mediterranean lifestyle seems to be your diet, seems to be the best general approach to life, and that is lots of vegetables, a little bit of wine, perhaps a bit of champagne, not too much meat, and lots of activity. Olive oil -- great. All those things are marvelous. MOSLEYWe know that a diet which is rich in white things is generally a bad thing. Potatoes, white pasta, white sugar, those doughnuts, on the whole, they're associated with all sorts of bad things, including obesity and dementia. I think there's no knockdown argument at the moment linking sugar with, you know, particular conditions. But I think the evidence is beginning to mount. MOSLEYAnd it's the refined sugars. I mean, the idea that you should eliminate carbohydrates entirely from your diet in an Atkins-type approach, I think, is bad, mistaken. I think there's lot of benefit to be had from complex carbohydrates in the forms of grains, vegetables, fruit, and things like that. It's the white stuff that's the bad stuff. REHMAnd you're listening to "The Diane Rehm Show." I want to take a caller in San Clemente, Calif. Hi there, Joseph. JOSEPHGood morning, Diane. Wonderful show again. Thank you. JOSEPHI have a quick question. The question is I'm a competitive athlete. Fuel is critical to my training needs. But I'm very interested also in a healthy lifestyle and longevity and avoiding age-related disease. So how would I -- or can I incorporate this kind of program into my own lifestyle needs as a competitive athlete? Thank you. REHMFirst to Dr. Mosley and then to Dr. Mattson. MOSLEYI was going to say this is one for Dr. Mattson because he is an athlete. REHMI -- he sure is. MOSLEYI'm a reluctant exerciser. But certainly the evidence I've seen suggests that the combination is the best. Now, you're not going to want to do very long endurance things if you're on a, you know, fasting day. But certainly there is evidence in men that if they exercise in the fasting state, they burn more fat, so it's partly question of whether you want to lose fat or not. MATTSONYeah. So with intermittent fasting, you -- as Dr. Mosley said, you lose fat before muscle. And we found that in the study we did with Dr. Harvey, that the women on the 5:2 diet, they maintained their muscle mass, but they'd -- on the other hand, they weren't endurance athletes. So I think you have to watch your weight. MATTSONYou know, you -- there's probably optimal weight for whatever sport you're doing, and you can -- you know, the research hasn't been done, but I would think if you do intermittent fasting, just watch your weight. And you don't want to be dropping your weight too low because if you're at your optimal weight for performance, then if you go below that, you may start to -- you know, so I would say, just watch your weight. REHMAll right. Last words, quickly from each of you. Dr. Longo, where do you think this research is heading? LONGOI think that the research is heading to potentially much more than we've been talking about, including the ability of this maybe longer fast to sort of rebuild some of the organs and tissues. And I think Mark and I are both working in that, and that's what we hope to establish both in mice and humans. MOSLEYI think that the longer fasts, which Valter is involved in, are going to be particularly important in the area of cancer. I think that the sort of 5:2 approach of intermittent fasting is going to be really interesting for weight loss but also for things like diabetes because we know it has a significant effect on insulin. MOSLEYAnd I think we're going to see a lot of research coming out in that area. I know people in Norway are doing it. And there's also been a really interesting study out of Newcastle where they took people, and they put them on 600 calories. These were people who had been diabetic for two or three years. And in 70 percent of cases, they were able to reverse the diabetes. MOSLEYThis was a small study, but they're just about to do a really big one. REHMAll right. And final last word, Dr. Mattson. MATTSONYeah. We're in a transition state now, extending animal studies to humans. And I think what will be important is what comes out in human studies in the near future. REHMDr. Mark Mattson at Johns Hopkins University, Dr. Valter Longo of the University of Southern California, and Dr. Michael Mosley, author of "The Fast Diet," thank you all so much.